The Los Angeles LGBT Center is the largest LGBT advocacy organization in the world. It publishes quarterly magazine called Vanguard. They were looking to put this magnetize online and have the ability to update the content more often to keep up with current events. This website needed to have a number of unique features. Written on 22 October 2014 . 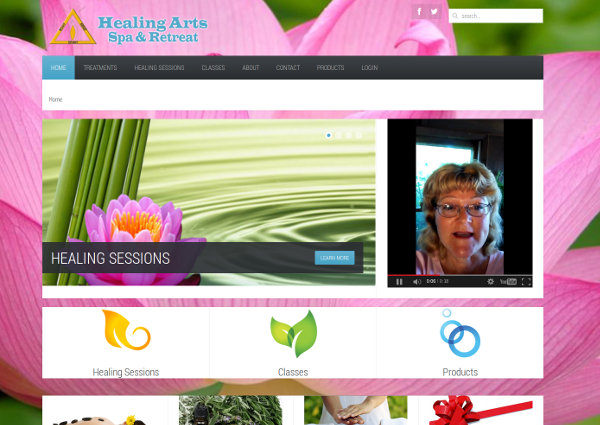 Healing Arts Spa and Retreat is located in a peaceful, quiet country setting. Soothing sounds of nature surround this serene treatment center. Diane was looking for a website that matched the feel of her alternative healing business. Written on 31 March 2014 . 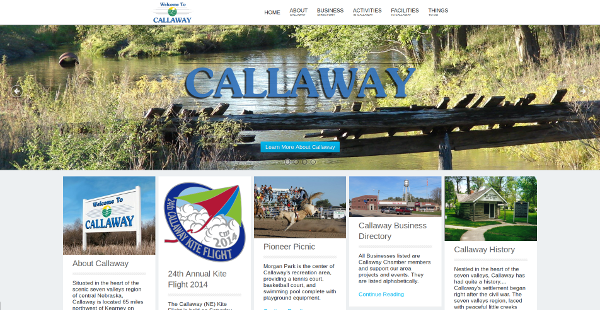 The Callaway Chamber of Commerce's mission is the promote the city, business, and lifestyle of Callaway, Nebraska. They throw a number of events throughout the year and needed a platform as active as they were. 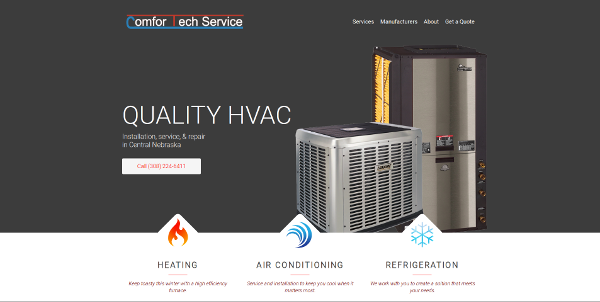 ComforTech Service is a quality HVAC installation and repair company in Central and Western Nebraska. 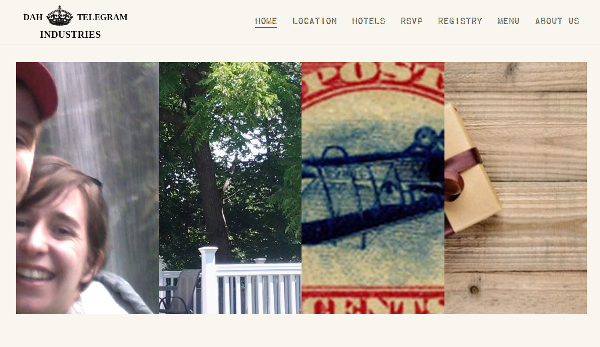 They were looking to expand their visibility in the local market via a web presence. The wanted a modern website with good search engine optimization (SEO) to drive in leads. DAH Industries is a website my wife, Andrea, and myself used to publicize information about our wedding (DAH: David and Andrea Hayes -- clever right?). We were looking to keeps costs down as well as stream-line the RSVP process. 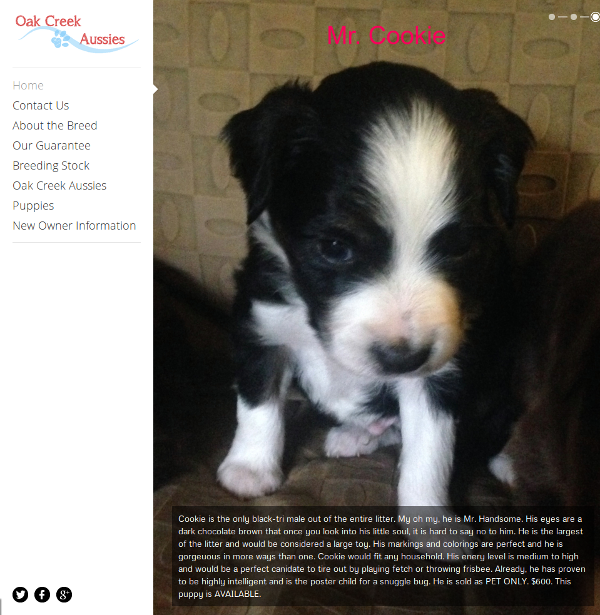 Oak Creek Aussies has been breeding high quality Miniature Australian Shepherds for years. They are a family run operation that breed dogs for the love of the Aussie, for their wonderful disposition, and their excellent working ability. They needed a website as awesome as their pups. Written on 27 October 2014 . 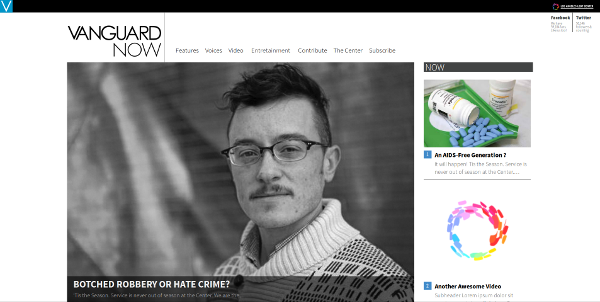 The Los Angeles LGBT Center was in the process of moving their websites over to Nationbuilder. They had eight seperate website for different departments that they wanted to move over to Nationbuilder Subnations. These websites needed of theme consistent with their new branding. Written on 03 June 2014 . 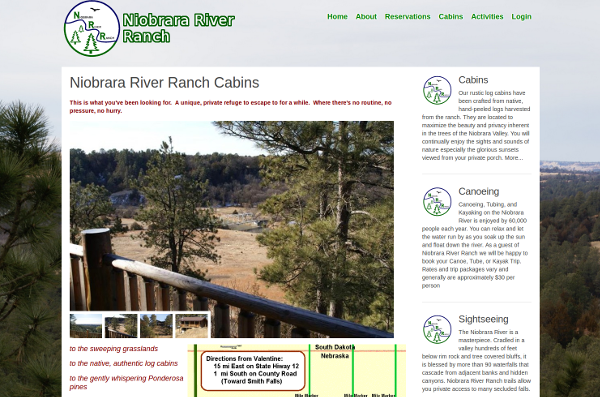 Niobrara River Ranch provides one of the premier outdoor experiences in Nebraska. They offer scenic cabins, excellent fishing and hunting, and a great view of nature all near Valentine, Nebraska. Written on 24 January 2014 . 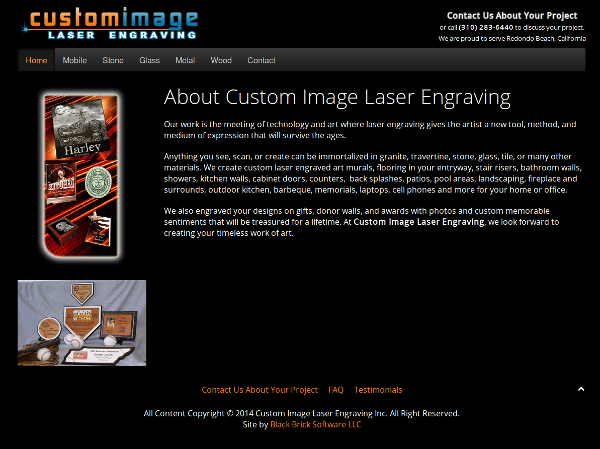 Custom Image Laser Engraving is where technology meets art. 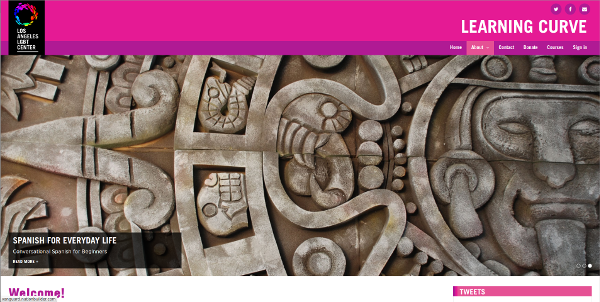 They can immortalize any image into a variety of surfaces including: stone, tile, glass, and wood. They were not only looking for a site to showcase their work, they also needed a way for customers to get them very large image source files.